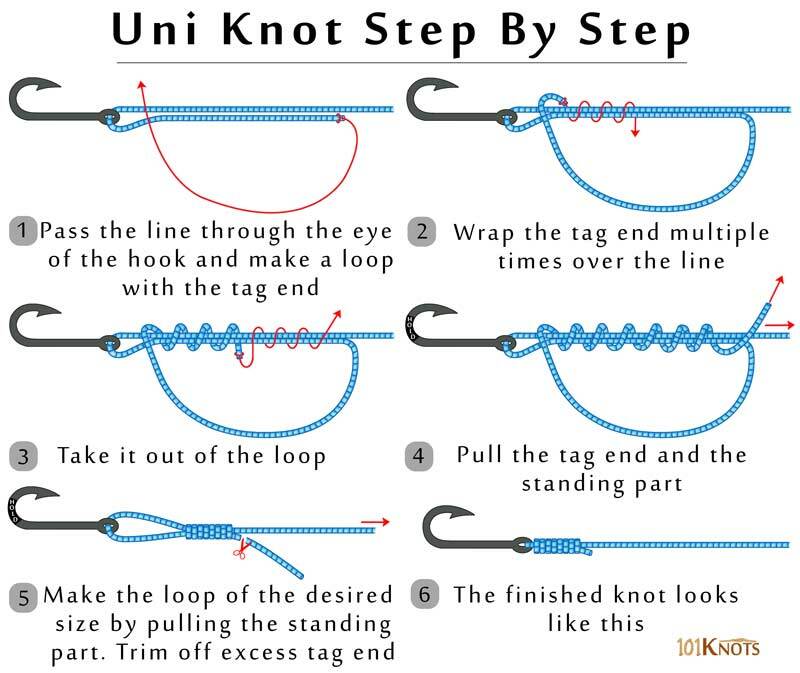 Also known as the Duncan loop or the Grinner knot, the uni knot not only connects your line to the hook but also joins the line to the arbor of a reel or swivel or any other rigging hardware. 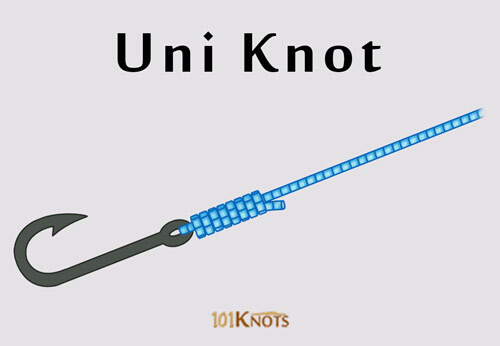 The uni knot has greater strength than the improved clinch knot, Snell knot and blood knot. It comes in handy when trying to join the line to terminal tackle. It saves you time untangling knots. If a tangle is noticed, you don’t have to tie the knot again. Just slide the knot open and take off the dropper, untangle the rest of the rig, slide the dropper back on and continue fishing. More turns of the line increase the breaking strength of the knot and improve it further. It is great for fishing a jig in heavy cover on braided or fluorocarbon lines. The nail knot, in contrast, is a bend and has no sliding loop. You might have to wet the line to lubricate stiff nylon. Crossover uni knot – The line is connected to the spool with the help of a uni-knot and 2 figure of eights. Modified uni knot – for braided lines. New uni knot – Doesn’t weaken over time. It is excellent when it ties a leader to your fishing line. Helps in tying the Snell knot, adding snelling to hooks. Hey there, cool post. I just enjoy the outdoors, fishing, camping and hunting. Folks spend way too much time indoors in front of the TV. Thanks for sharing & giving us inspired. Hey there, awesome article. I just enjoy the outdoors, fishing, hunting & camping. People spend far too much time indoors in front of the TV. Thanks for writing this & making us inspired.